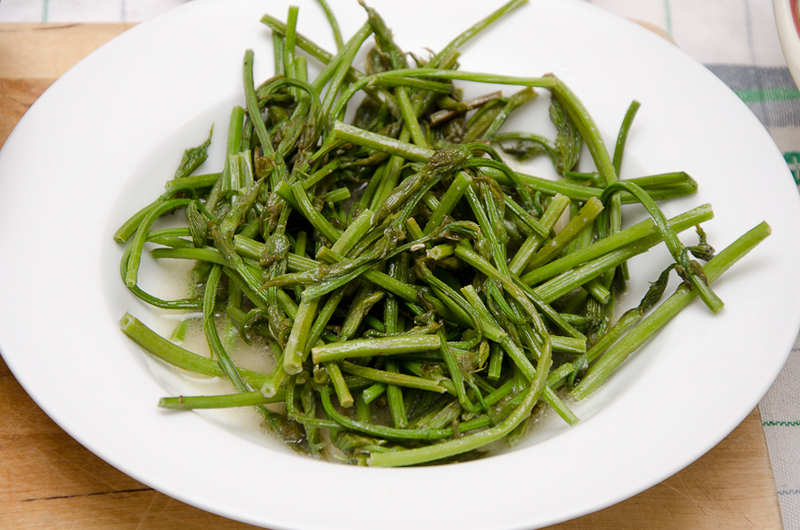 Wild asparagus is strongly associated with spring and as an Italian I am continuing with my appreciation and fascination of wild asparagus and seasonal produce. In this region of Italy butter features strongly in cooking so I sautéed them in butter and added salt and pepper and a little lemon juice. We ate them as a contorno (side dish). 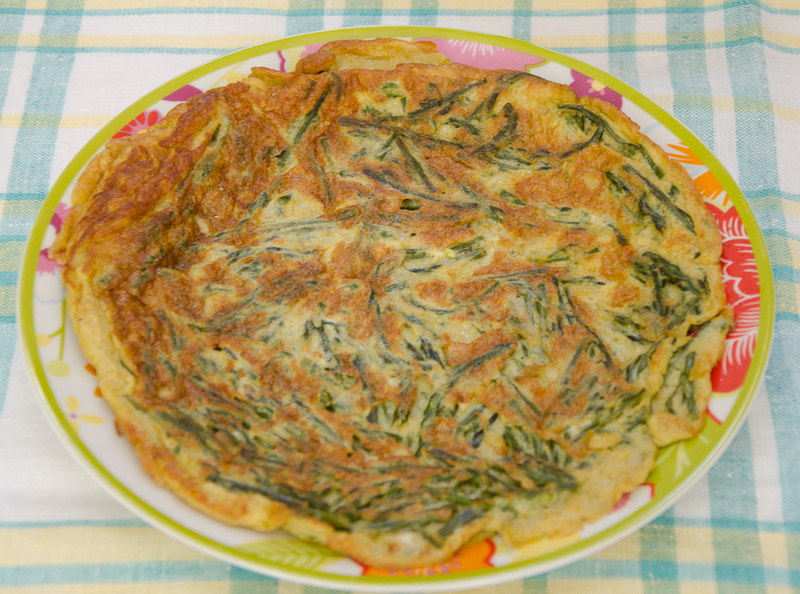 I sautéed the second bunch in butter and oil and then added eggs, some grated Parmigiano, salt and pepper and made a frittatatina (small frittata) – this is a very common way to eat wild asparagus in Italy; in Sicily it is one of the favoured foods on Easter Monday (called La Pasquetta). Wash the asparagus well, break off any hard ends and break the asparagus into smaller pieces. Sauté the asparagus in some extra virgin olive oil, add a little salt and pepper. ( Most Italians pre-soften them by boiling them first). Mix 6 eggs that have been beaten with a fork, add a little salt and about 1 tablespoon of grated cheese.Pour the egg mixture on top of the asparagus, cook the frittata on one side, slide the frittata onto a plate, flip the uncooked side on to the pan and cook. 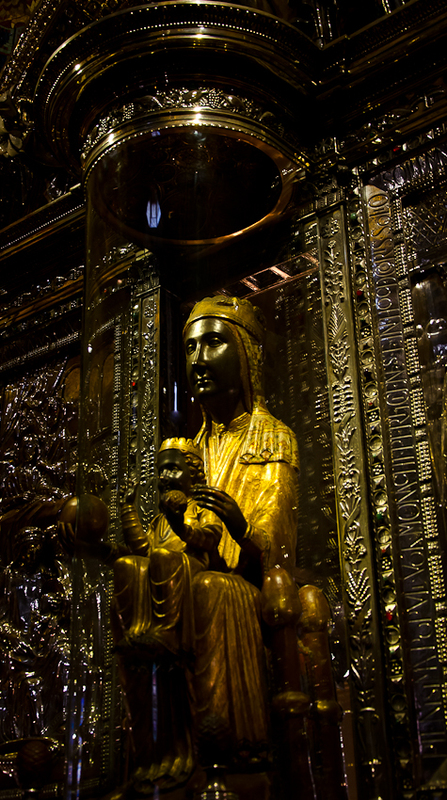 After Italy I went to Spain (Madrid, Toledo and Barcelona). I saw wild asparagus plants growing Toledo and in the Gaudi Gardens In Barcelona (including wild fennel and even bushes of thyme in Montserrat). I did not see them on menus or for sale in the markets in Spain but I suspect that the wild asparagus season is well and truly over – Spain was much warmer than Italy. The quality of the vegetables in the markets in Spain is very good, but I was surprised not to see anything out of the ordinary. There were artichokes and broad beans (both in season) but nowhere near the range of salad or cooking greens I saw in Italy. What I appreciated in Spain and especially in Barcelona were the artichokes. They are almost totally stripped of all their leaves, sliced very thinly, dipped in a little flour and deep fried. 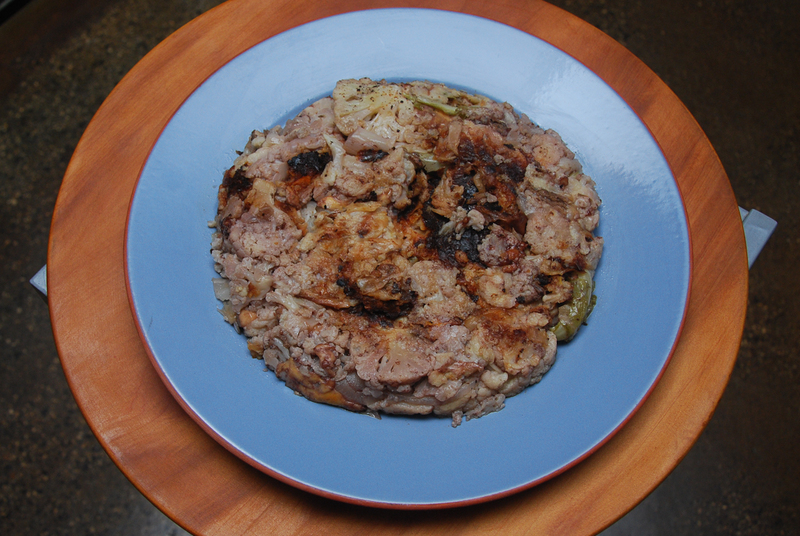 Like the Italians, the Spaniards also eat them as a frittatina ( Spanish tortilla). The cleaned artichokes are sliced thinly and cooked in the same way as the wild asparagus. Fennel is still looking really good at the Queen Victoria Market in Melbourne. Select the round specimens when you can – these are known as the male bulbs. The female ones are flatter and reputed to be not as tasty because their energy is going into sprouting and going to seed – this is why they are not as round. Usually when I make caponata I fry the vegetables separately to best preserve the flavour of the individual vegetables and accommodate the different cooking time each vegetable needs, but because the celery and fennel have similar textures I generally cook them at the same time. All caponate (plural) have an essential agro-dolce (sweet and sour) sauce that makes caponata what it is. 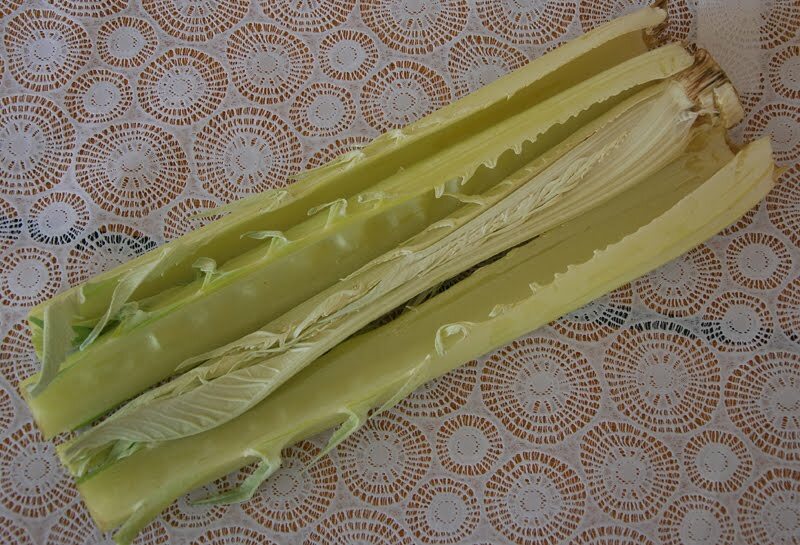 Remove any outer layers of the fennel that look damaged, trim the base and discard. Keep any young, soft fennel fronds to add to the caponata. 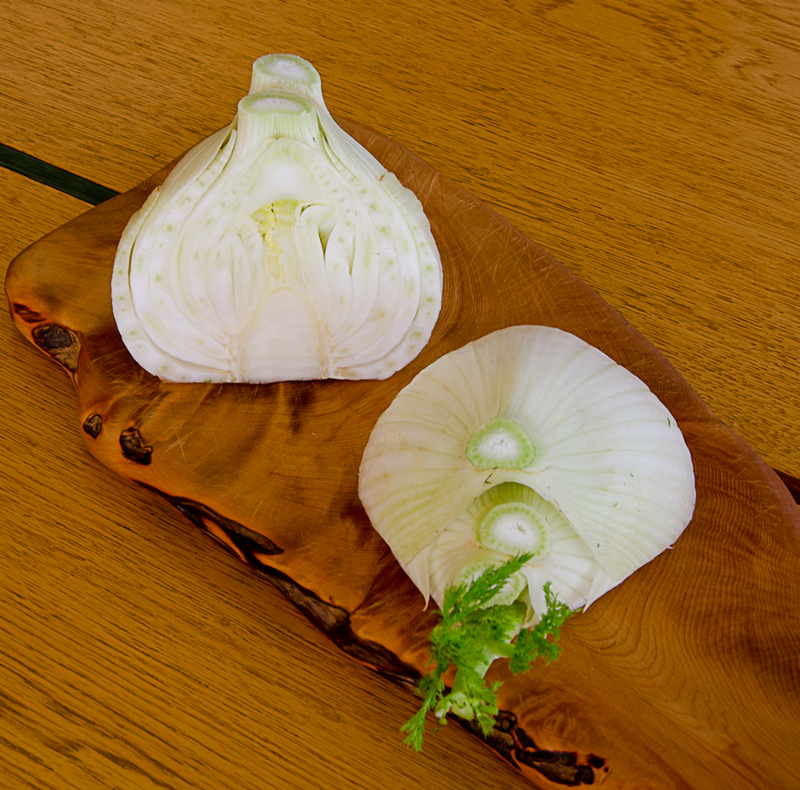 Slice the fennel bulbs in half vertically and then into quarters. Continue to cut the fennel into thin slices keeping them attached at the bottom. Place extra virgin olive oil in the pan and when it is hot add the onion, fennel and celery and sauté until they begin to colour. Add the olives, capers, tomato and salt. 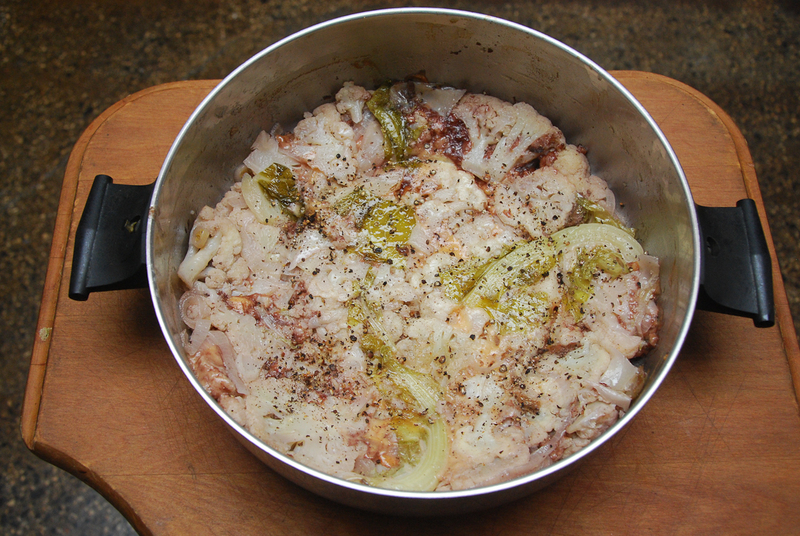 Cover and simmer gently until the fennel has softened (10-15 mins). Remove the contents from the pan, add sugar to the same pan and stir over medium heat, When it begins to caramelize add the vinegar and evaporate. This is the essential agro-dolce (sweet and sour) sauce. Return all the contents back into the pan and stir through. My Australian friend Sandi was going to Sicily. Her first big stop was Syracuse and she asked if there was anything she could do for me while she was there. 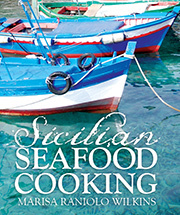 I gave her some photos of some of the stall holders in the Ortigia market in Syracuse and said that if she found these people she was to tell them that they would be in Sicilian Seafood Cooking (New Holland, release date Nov 2011). When Marisa learned of my intention to visit Syracuse to join my sailing friends she asked me to deliver some photographs to some of the stall holders there. Marisa and her partner Bob had taken the photographs whilst they were visiting Syracuse. 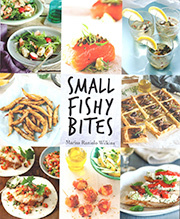 The photographs of the stall holders are among the many wonderful photographs of Sicily, it’s markets with their bountiful array of fruit, vegetables and of plenty of fish which are featured in Marisa’s book entitled “ Sicilian Seafood Cooking”. I was thrilled to be able to do so. I am always excited at the opportunity to revisit the richness of the market in Syracuse – one of my favourite haunts. 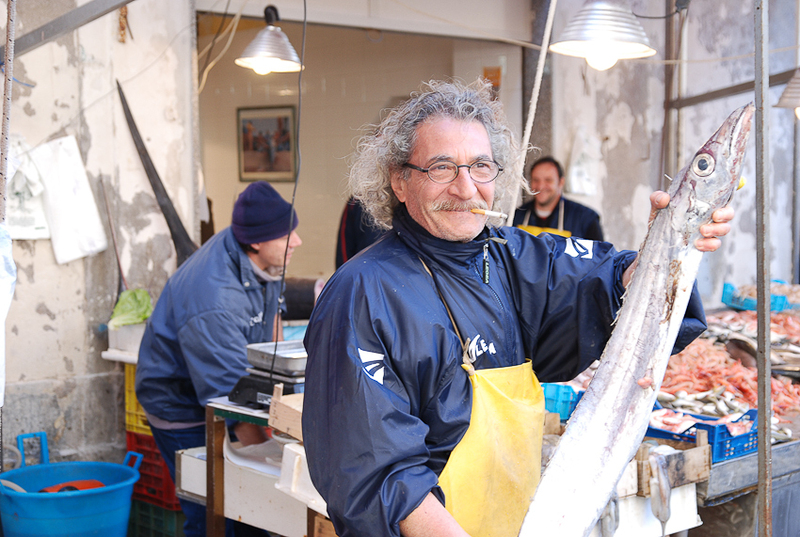 It was easy to recognise the stall holders from their photographs despite the fact that the market as usual was crowded with locals buying the wonderful fresh produce.One of my sailing companions spoke Italian and therefore was my translator. They were ecstatic to receive a copy of their photograph and a copy of the cover of Marisa’s book. They listened intently with sparkling eyes and smiles on their faces whist my friend explained who had taken the photographs and why I was delivering them. They immediately remembered Marisa when I showed them a copy of her photograph. As soon as they heard the explanation they ignored the crowd of customers waiting to be served and rushed from one end of the market to the other waving their photograph and relating their news to other stall holders excitedly. They even told the story to those that hadn’t been listening closely to my friends’ explanation. All this despite the fact that they were busy with many customers. No one seemed to mind and all enjoyed the excitement. Two of the stall holders pinned their copy of the photograph proudly on the wall behind their stall. If you visit you will see the photographs and I’m sure they will be pleased to proudly explain where they came from. This photo of this bunch of radishes was taken in France. I was in France with friends and stayed in Mercadiol (a small hamlet) in the South West of France. It is the same restored barn that Stephanie Alexander stayed (with Maggie Beer and Colin her husband) when she researched material for her book Cooking & Travelling in the South-West France. My friends and I sampled much of the local cuisine, but we also enjoyed shopping in the local markets in the various nearby towns and villages and cooked some fabulous dishes together. Imagine my surprise when I saw this variety of radish for sale at one of my favourite vegetable stalls at the market. Carmel, one of the stall’s proprietors proudly announced that a couple of her customers had said that they had seen this variety in France. She was pleased to hear that I verified this and had a photo of them. The following is a section from the vegetable chapter from my manuscript to be published in 2011. Radish (ravanello or rapanello) is another vegetable that is probably over-looked in Australia – they are available all year round but are sweeter in spring. Radishes should be crisp, juicy, and peppery with sparkling white flesh. My father grew them in his small garden in Adelaide because they reminded him of the times when he was a boy growing up in Sicily and he would help himself to the radish patch. When in Sicily, if in spring, it is quite common in people’s homes to be presented with small, firm radishes with fresh, unblemished tops at the beginning of a meal. Serve with a separate small bowl of salt, or extra virgin olive oil and salt, for dipping. Other tender vegetables such as broad beans, fennel or peas are also commonly placed on the table in the same way – it is a celebration of the vegetable and the season. Last week, my friend The Old Foodie wrote about radish. When I select bunches of radish or kohlrabi, baby turnips or beetroot I partly select them for the quality of their leaves. In fact I cooked the leaves from the bunch of radish and baby turnips the night before you posted your blog – I sauté them in extra virgin olive oil and garlic.My father used to grow radishes in his garden and used to collect the young leaves for salads – not to be eaten alone, but as part of a mixed salad. 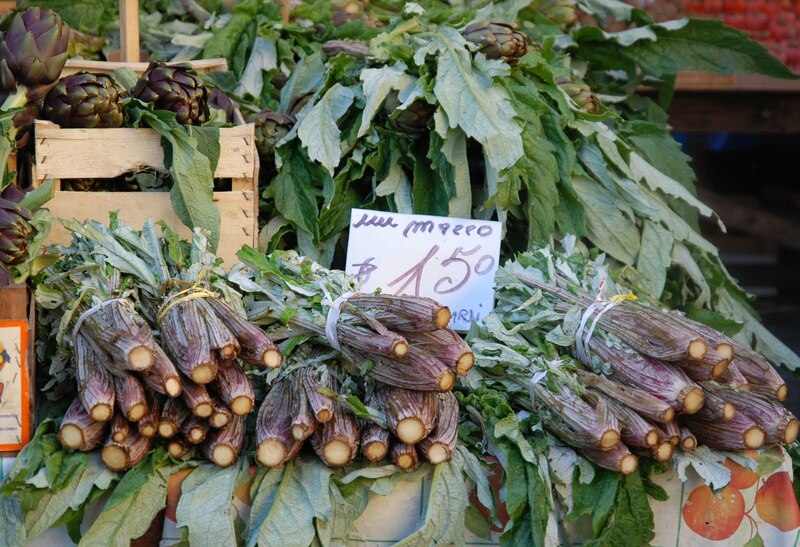 He also grew rocket and radicchio and chicory and collected ‘salad ‘ leaf by leaf. And I support the theory that radish was used to stimulate appetite. My father used to talk about Sicilians just presenting a bowl of radishes (in season and fresh) with salt (to dip the radish into) before a meal. Antipasto (or nibbles) before a meal is still not a common practice in Sicily, it is a modern invention, stimulated by tourists and their expectations. Because Sicilians to always begin a meal with a primo (first course), which for the majority of the time is pasta; they do not wish to spoil their appetite. The primo is followed by a secondo (main) and then fruit, and dessert for special occasions. A few nibbles, for example olives, a few cubes of marinaded pecorino could be the ‘nibbles’ for special occasions or part of an extended meal. My father used to grow matovilc in his garden in Adelaide. Some may know this salad green as lamb’s lettuce or mâche as it is known in France. I have also found references to it being called corn salad, apparently because it grows wild in cultivated fields in temperate climates. I know this salad green well and ate it regularly in Trieste where I lived as a child. You are probably thinking that matovilc does not sound very much like an Italian word, and you are correct – it is Sloveniac/Croatian where it is more commonly known as matovilac. 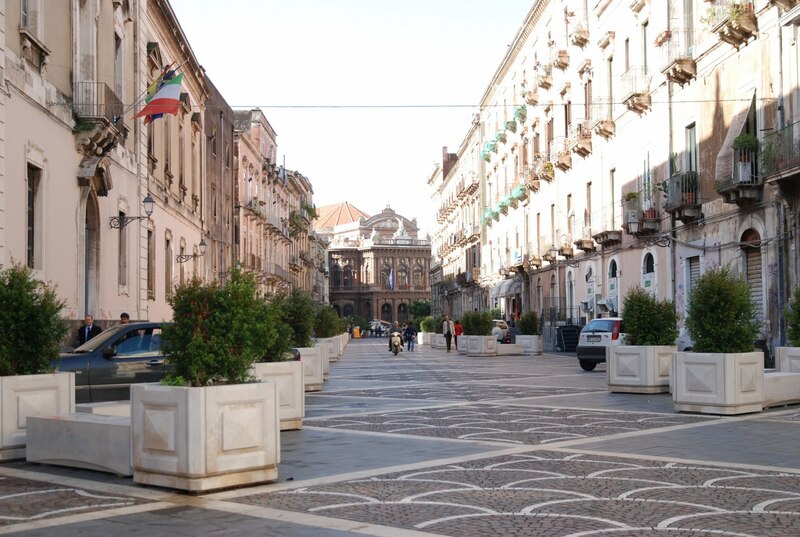 Those of you who have travelled to France may recognise it, but unless you have been to Trieste you are unlikely to find it anywhere else in Italy. One of my father’s acquaintances smuggled a few seeds out from Trieste to Adelaide; you no longer have to break the law, seeds can be found. The top photo is what I bought in Brisbane from the Powerhouse Farmers’ Market. I was there last weekend and it was sold as whole heads in the form of rosettes. 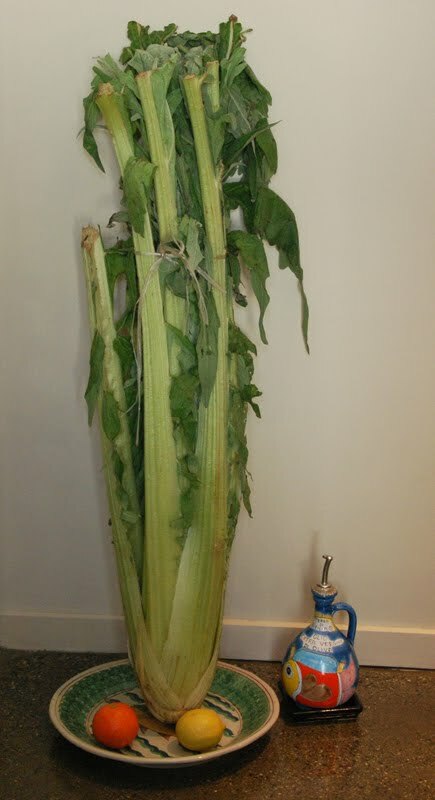 In Trieste we also purchased it in the market, the leaves were sold loose by the handful and were very small. 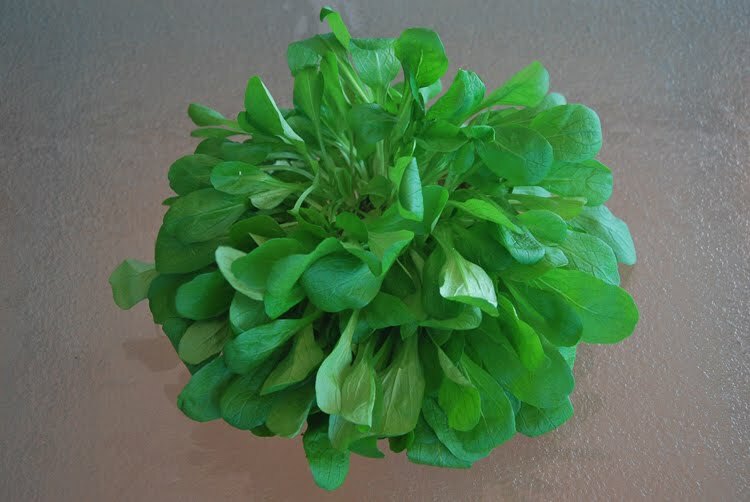 I always get excited when I see this salad green, it is not easily found for sale in the state where I live and is generally cultivated at home. My father picked the matovilc growing in his garden leaf by leaf (as he did all his salad greens); it is very easy to grow and is at its best in spring. It goes to seed quickly in warm climates. As a simple salad (dressed with a wine vinegar, salt pepper and extra virgin olive oil) it is particularly appreciated in Trieste when accompanied with fried sardines (first dipped in a little flour and salt and the fried in very hot extra virgin olive oil). The contrasts of the almost sweet, delicate taste of the leaves and the strong taste of the sardines works well together. In France, I ate a lot of mâche as part of the numerous salade composée, which seem very much part of café food offered at lunchtime. 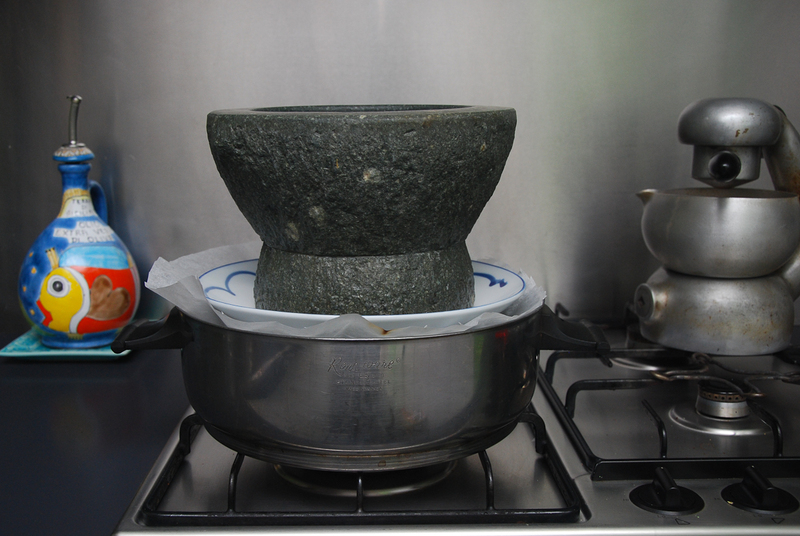 It seems to be an excellent way to present smallgoods or use up left-overs. In fact in Brisbane my friend and I used the left over pancetta (cooked it), pecans, a dressing made with raspberry vinegar and extra virgin olive oil and some brie that were all left over from the meal from the night before. This also tasted excellent and gave both of us much pleasure in using up left over ingredients creatively. This photo is Salade de Pigeon Landaise, vinaigrette de son jus. It was taken in Paris at Le Cordon Bleu Academie D’Art Culinaire and was one of the dishes cooked by Monsieur Le Chef (as the students seem to refer to him respectfully). · Biscuit roulé fourré à la ricotta et mandarines / Swiss roll filled with ricotta and mandarins. This photo is of the simple salad my friend and I prepared when we stayed in the converted barn at La Vieille Grange in Mercadiol (a small hamlet) in the South West of France. It is the same restored barn that Stephanie Alexander stayed (with Maggie Beer and Colin her husband) when she researched material for her book Cooking & Travelling in the South-West France. We travelled to many open air markets and bought local produce – that particular morning we found some mâche, beautiful radishes and local fresh trout, come home and had a good time preparing lunch – the mushrooms were sautéed in local extra virgin olive oil with parsley and garlic. The local bread, pate, sausisson (sausage) and cheeses which we also ate at the same repast are missing from the photo.